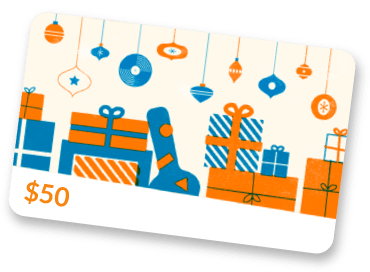 Norm’s Music was opened in 1981 as a small family run business and has grown steadily into a full service music store thanks to our “family” of customers. We still have the small store feel and ideals, but with all the professional product lines and service that you want. What sets us apart from other stores is that we offer personalized service with your best interest in mind. Our staff is very knowledgeable and will be able to answer all of your questions and concerns. 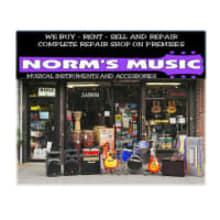 Norm’s Music offers a full service repair shop on the premises to handle all of your repair needs....guitars, amps, speakers, keyboards, electronics and more. We also specialize in sound system installations and have installed systems in many of New York’s schools, clubs and religious organizations. We buy used equipment or we can sell it for you on consignment. If you have used equipment that you want to upgrade, we can take your old gear on trade. Norm’s Music is also the only place you need to go to rent equipment...We rent almost everything! We offer PA systems, drums, keyboards, guitars, DJ systems, lighting and more for rental at the best rates around! Norm’s Music recently partnered with ProSho, a creative, multi-faceted, full service technical provider for the Entertainment, Social, and Corporate events market. ProSho’s client list reads like a “who’s who” of the top names in the entertainment industry, the corporate world, and governmental/non-profit organizations. From providing audio/visual services at the United Nations, to large concert events for A-list artists, ProSho is able to execute at the highest professional level. Professional service, the best equipment and the best prices are what you will find at Norm’s Music. Come and see us today! !